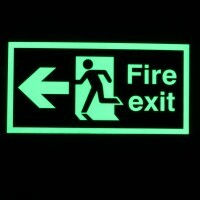 Emergency and safety signage: Way guidance systems, egress marking, escape signage and emergency signage – indoors and out. 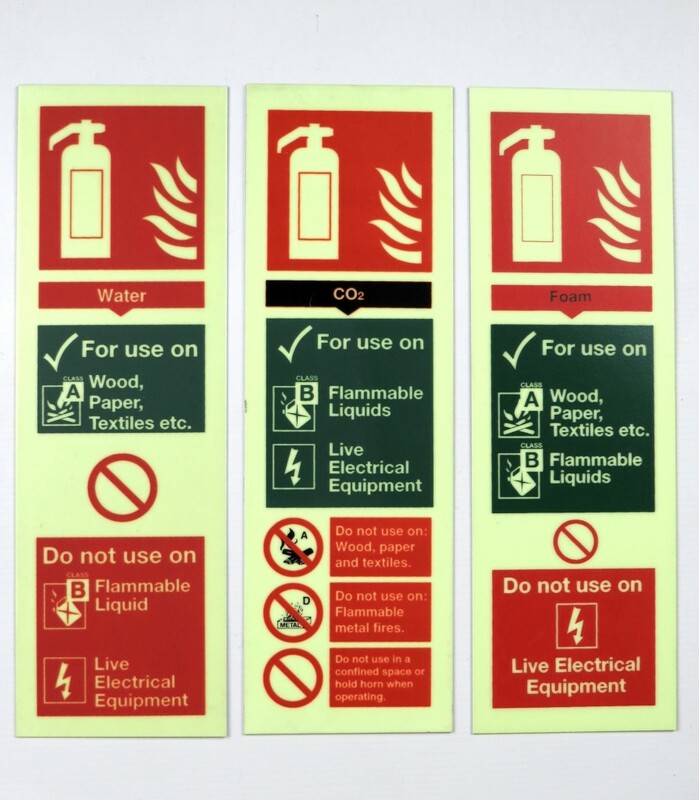 Use in 54mm or 79mm x 1m strips for low level marking systems and as high intensity signage for heavy duty or high profile fire or safety signs. 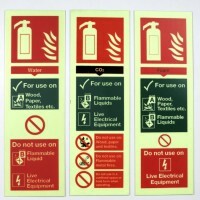 Displays: Extremely effective in creating dynamic, attention grabbing exhibition and display material. 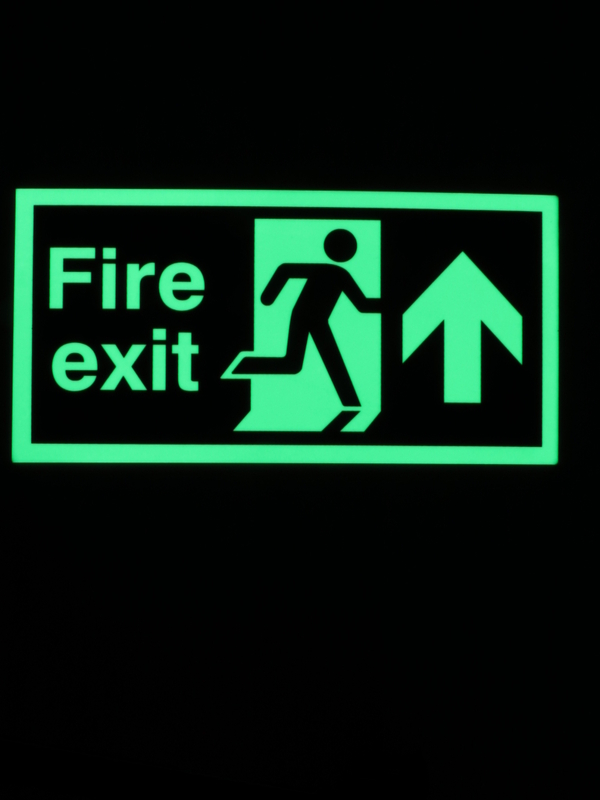 Why NovaGlow™ GlowCoat™ Class D photoluminescent signage? Brightest in blackout: GlowCoat™’s photoluminescent pigment layer (applied to an aluminium or stainless steel base) exceeds PSPA Class D requirements – the highest classification level. It achieves a brighter, longer afterglow and charges faster in any ambient light (natural or artificial). 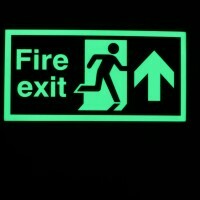 The result is safety signage that relies on no power to remain lit, costs nothing to ‘run’ and is as effective as it is reliable. 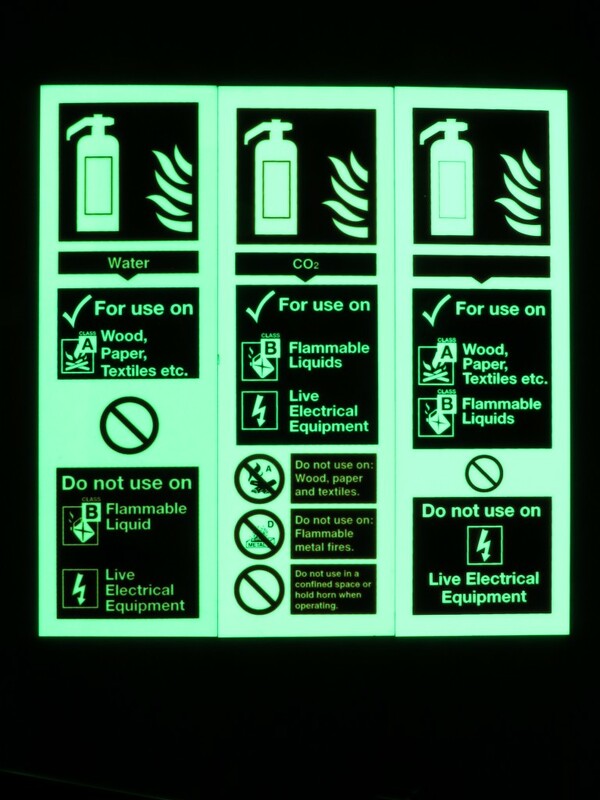 Customisable: Because NovaGlow™ Glowcoat™ is available made to order, you can choose the style, thickness and specifications for your application. 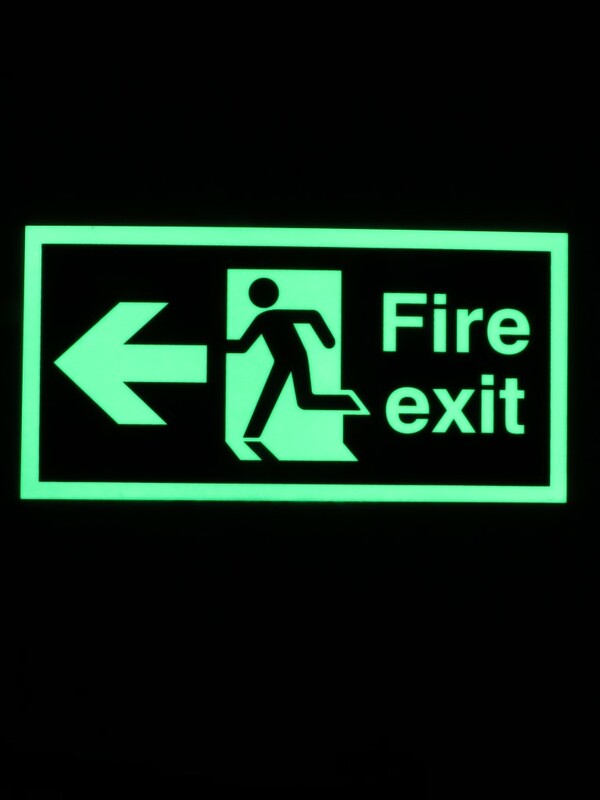 Talk to us about adding colour and bespoke printing to accentuate your signage. Extreme performance: The highly durable aluminium or stainless steel base is particularly well suited to extended periods of external use and harsh environments. Frequently used in tunnel egress and offshore applications. 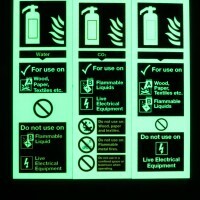 Tested in accordance with DIN 67510 pt 1 by an independent laboratory, NovaGlow™ GlowCoat™ exceeds the requirements of PSPA class D. This is the highest classification of the Photoluminescent Safety Products Association.